Born for the hill climb, the Egli-Vincent is seen by many of us as the ultimate Café Racer of the sixties. 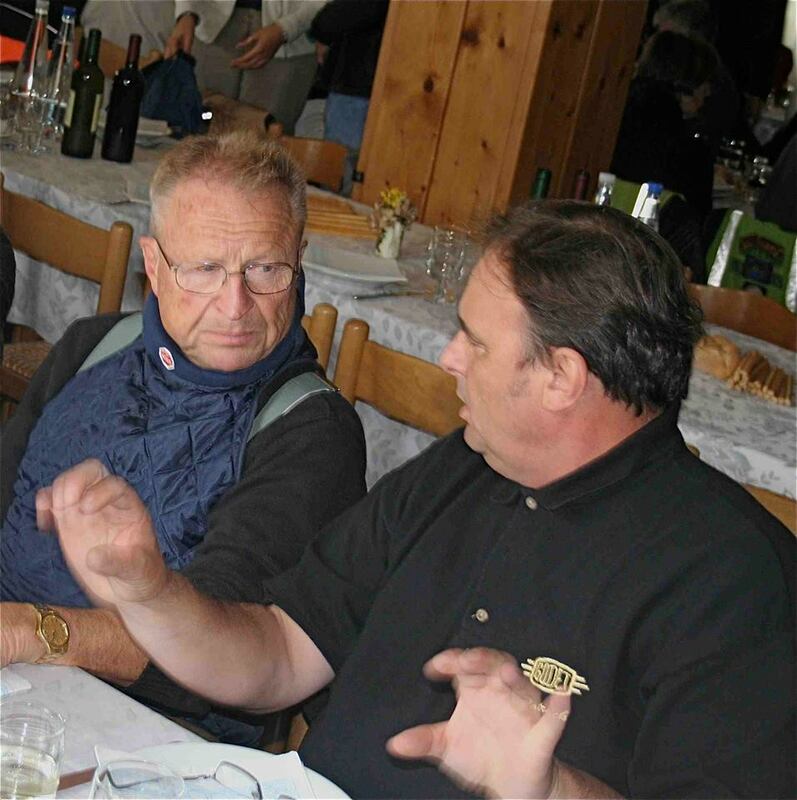 In this blog, I would like not only to share my passion for this motorcycle but also remind you or even help you to discover what Ton-Up motorcycles meant in the sixties and seventies. For this reason, despite the core theme is the Egli-Vincent, I will broader the picture to the Classic Motorcycles but British Motorcycles. 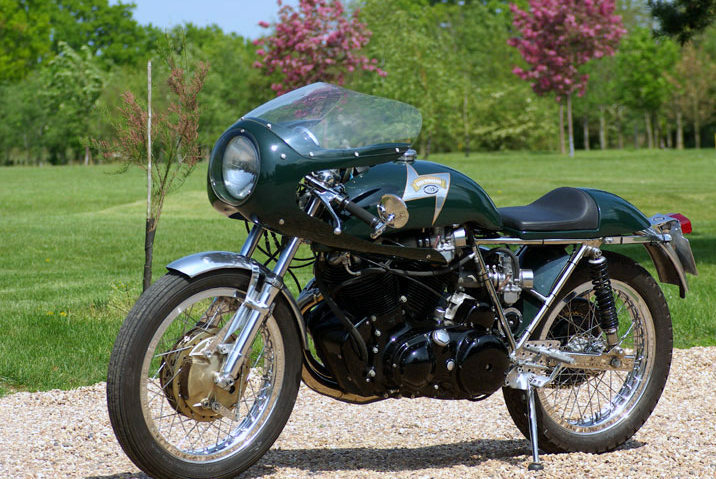 Although it looks pretty straightforward, the Egli-Vincent is also a complex subject to handle for two main reasons. First, the production has been very small and the documentation available is quite rare. Second, because of Egli’s success and a relatively easiness to manufacture frames, numerous workshops cloned the original Egli design introduced in 1968, claiming publicly or not the Egli Brand, one of them having even registered the “Egli-Vincent” brand in the UK, closing this market to Fritz Egli himself. 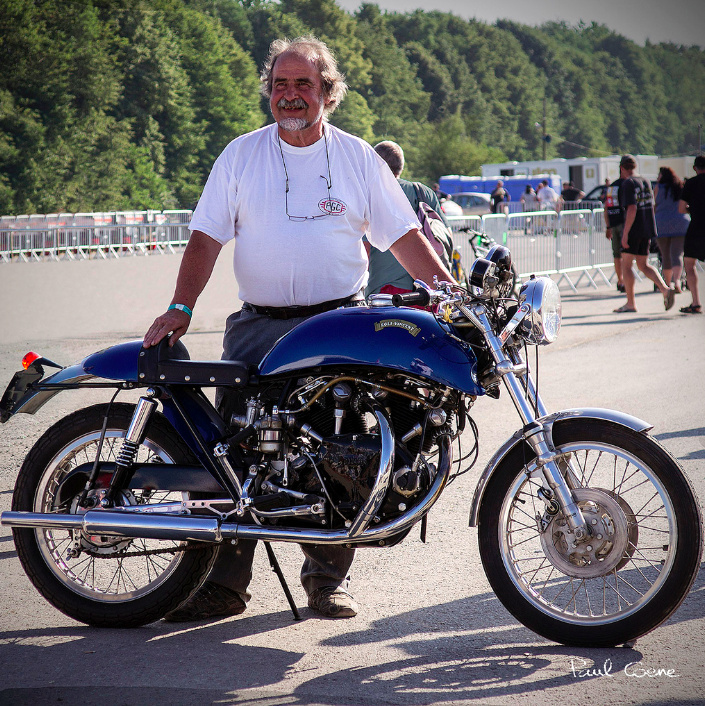 For sure many bikes have been registered as “Egli-Vincent” but many are definitely not. At one time, in the mid seventies, at least 6 companies were manufacturing clone bikes, and even today, skilled riders continue to build their own. If this does not void the value of such bikes and the merit of their builders, this kind of detail has its importance to avoid buying an Egli over its value. Thus, this blog will have also ambition to attempt clarifying this imbroglio. Today, Egli has stopped the production of the Egli-Vincent for many years, but several companies are offering replica or re-creation and it is important to know that only Godet Motorcycles is authorized by Fritz Egli to use the Egli-Vincent brand. An Egli-Vincent Cafe Racer made by Godet, the most authentic way to get closer to the myth as the few original are as difficult to find than a 1937 Rapide Series A, and thus rather unaffordable. We have 5″ speedometers & tachometers in stock. Completely refurbished. Fore mediate delivery. How do I get in touch to buy a 5″ speedo from you?